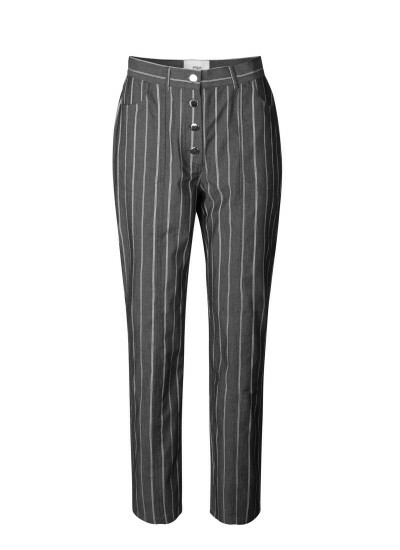 Stig P was founded by the creative innovator Stig Pedersen in 1969. The first store opened in the center of Copenhagen where the store stocked own-brand leather wares, including bags, furnitures and jackets, produced locally. 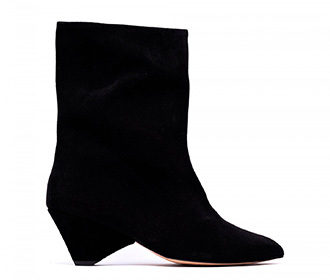 Now our collections consists of clothing, shoes and accessories. 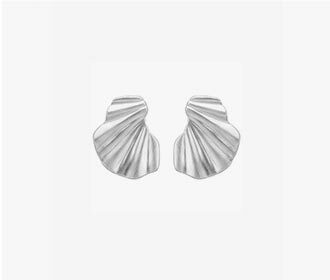 Everything is produced in Portugal and Italy at small factories, allowing for constant control and focus on production and working conditions. 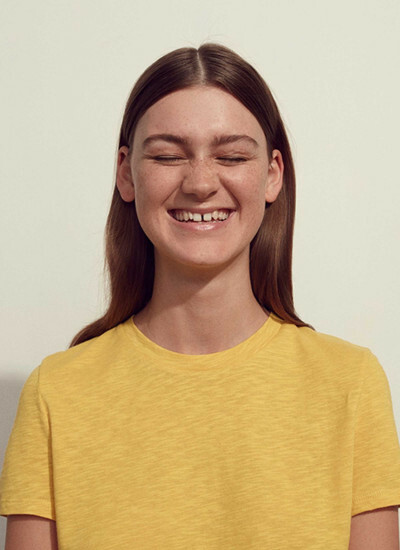 Therefore, you support responsible production when you shop at Stig P. Every piece is OEKO-TEX 100 STANDARD certified meaning that the garment has been tested for harmfull chemicals - for the enviroment and for you. 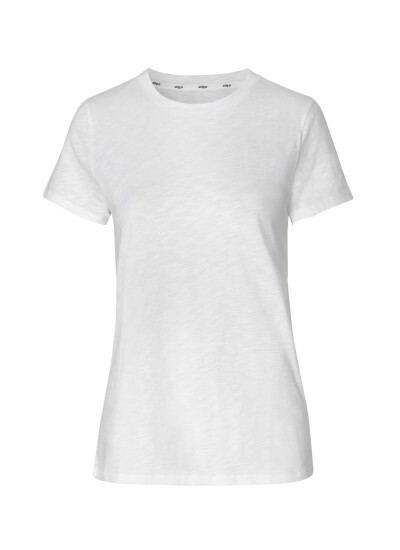 Awa tee is made out of organic cotton, and features a classic fit with round neck. 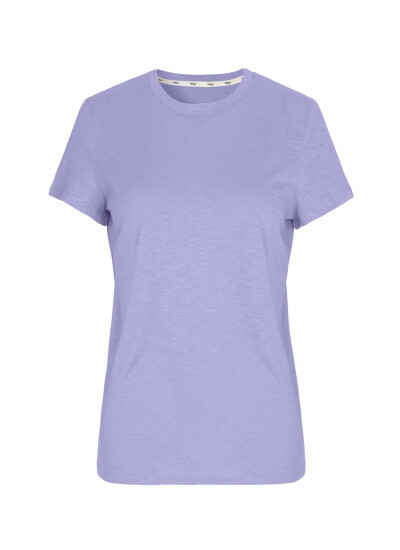 Bright purple tee with round neck in a classic fit. True to size. Light blue tee with round neck in a classic fit. True to size. Bright yellow tee with round neck in a classic fit. True to size. 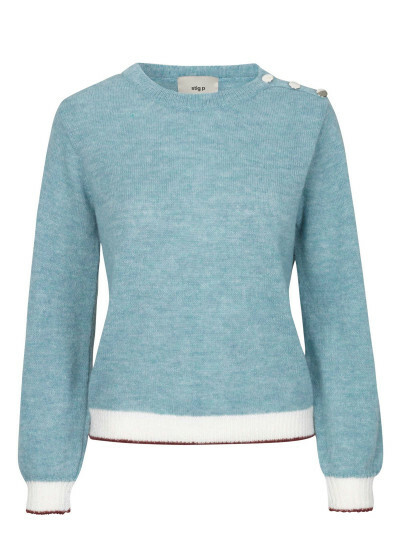 Emmelia wrap-top in light blue print with t-shirt sleeves. 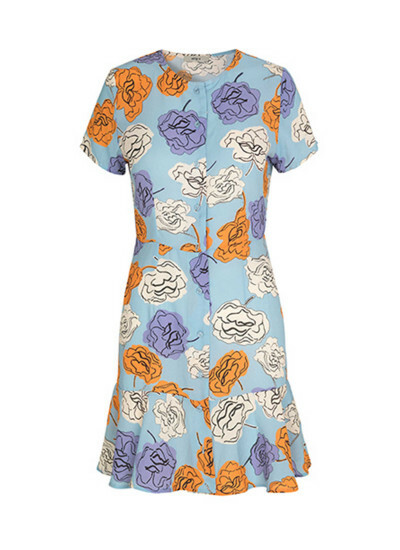 Ricca mini dress in light blue print with buttons down front. 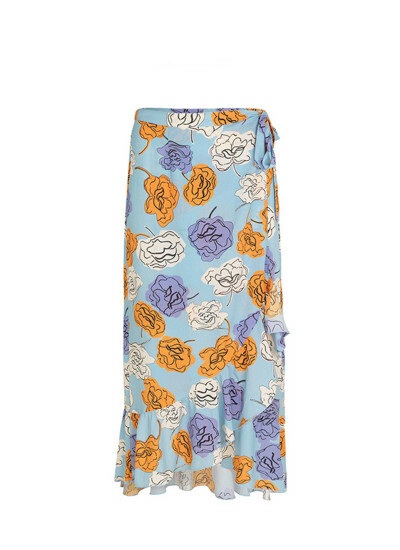 Strap dress from Stig P in light blue floral print, with ruffles by the hem and down the right side. 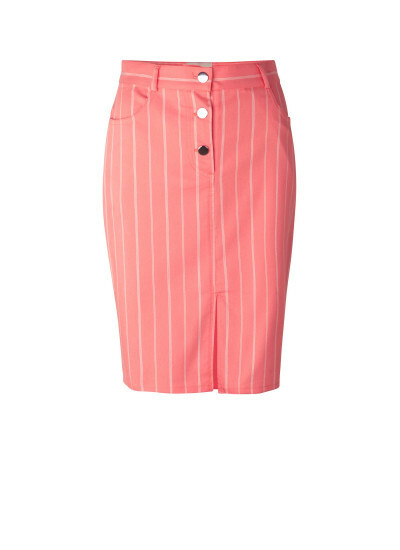 Button closure in the back. Soft cotton shirt from Stig P with white and dusty mint stripes, with tie detail. 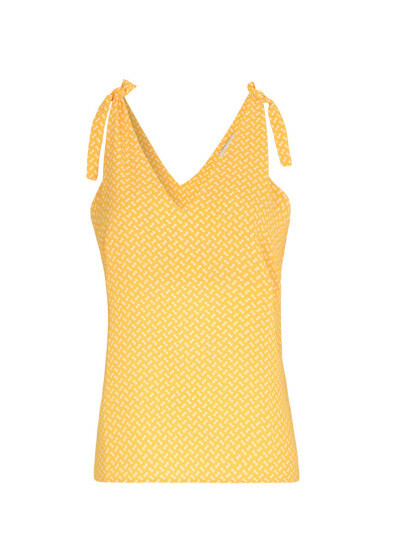 Pastel yellow dress from Stig P with mini print and button down front. 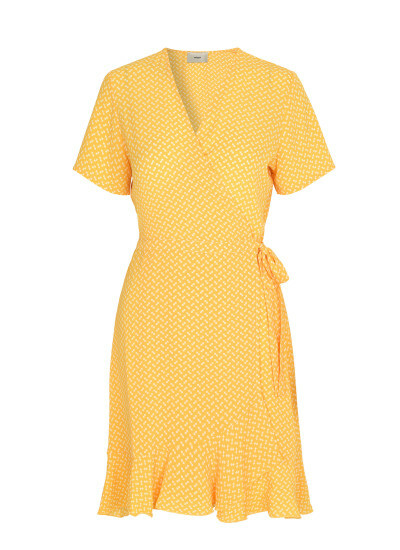 The dress features a elastic waist, ruffled collar and tie detail on cuffs. 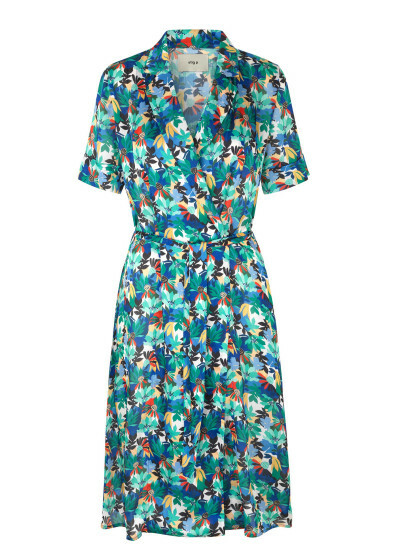 Multi print dress from Stig P with button down front in a short fit. 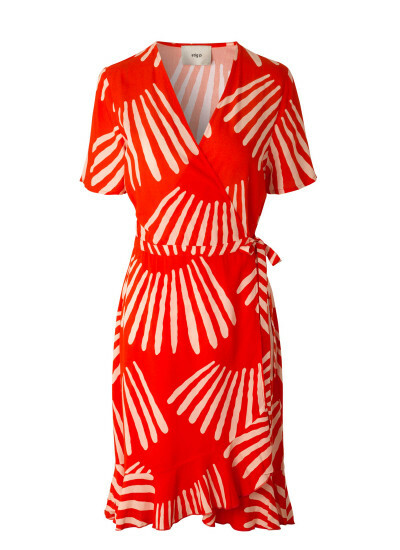 Red wrap dress from Stig P with t-shirt sleeves in a over-the-knee length. 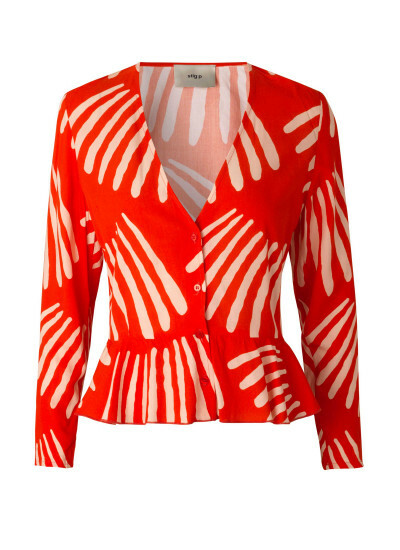 Red printed shirt blouse with a deep v-neck, long sleeves and semi tapered waist. Fits true to size. 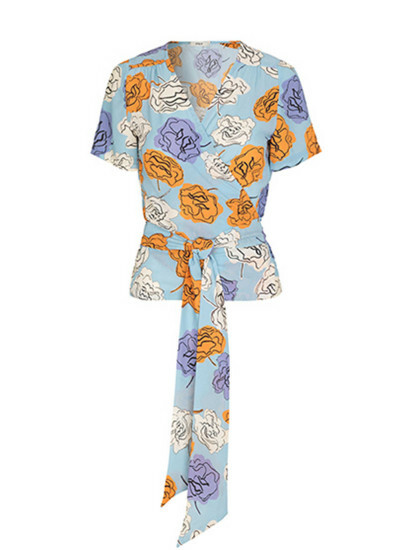 Shirt blouse from Stig P with buttons half way down and 3/4 sleeves with elastic rim. 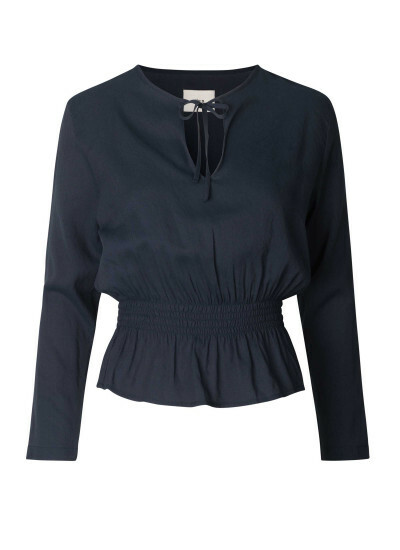 Navy blouse from Stig P with front tie detail and elastic narrowed waist. 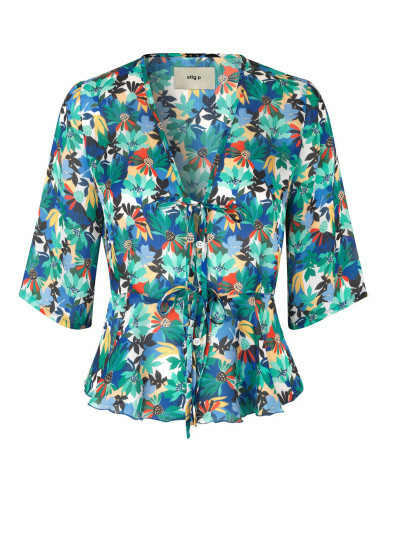 This blouse fits true to size in a semi short fit. 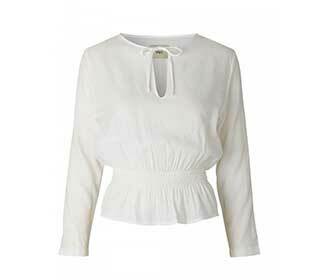 White blouse from Stig P with front tie detail and elastic narrowed waist. 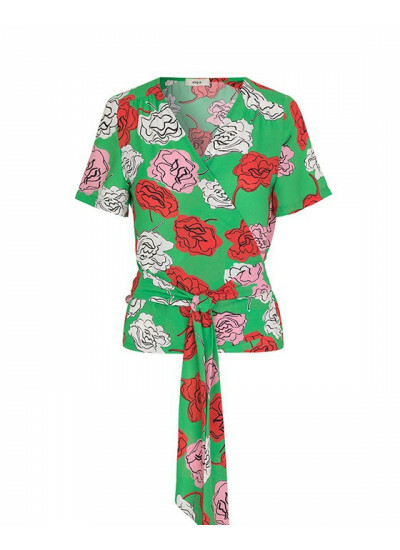 This blouse fits true to size in a semi short fit. Black shirt blouse from Stig P with button down front and puffed sleeves. 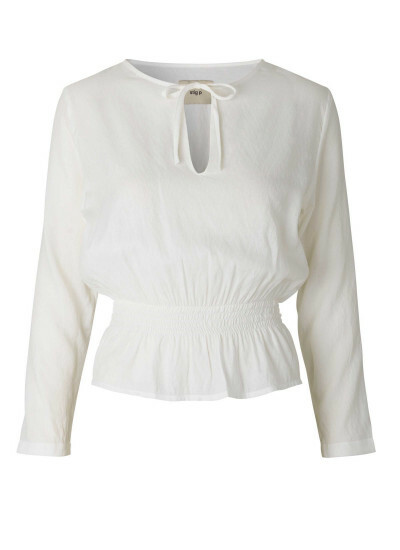 White shirt blouse with button down front and puffed 3/4 sleeves. 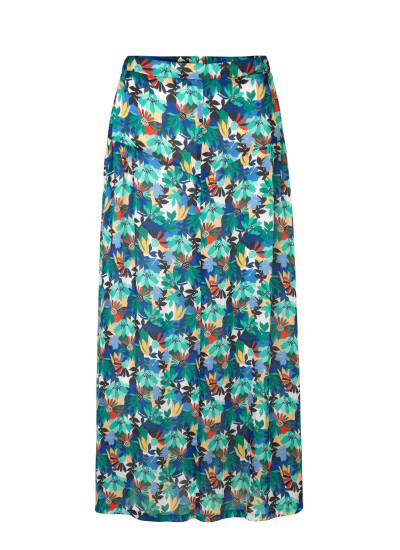 Printed midi-dress from Stig P with cropped sleeves and waist belt. True to size. 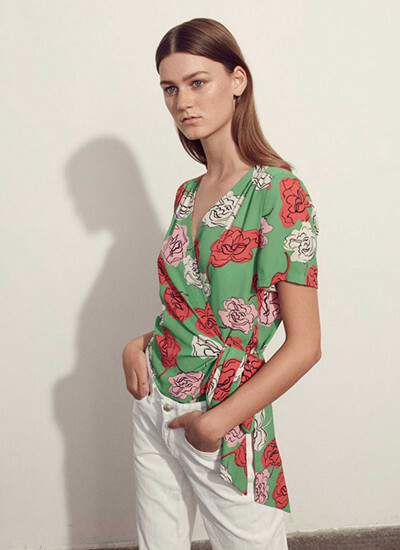 Printed top from Stig P with v-neck and button/tie closure. 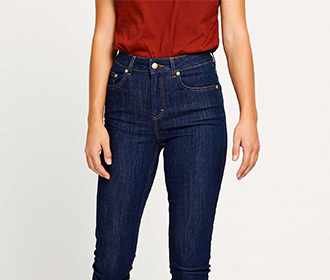 The sleeves are cropped. 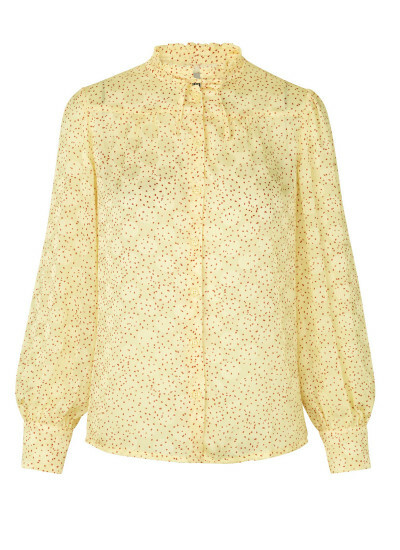 Light yellow shirt from Stig P with high ruffled collar and slightly puffed sleeves. The shirt fits true to size. 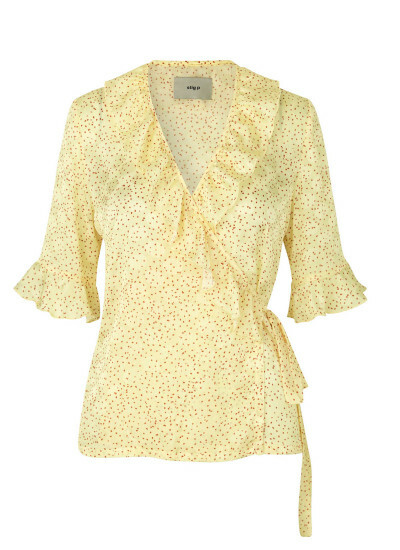 Light yellow wrap top with print and ruffles. This top fits true to size. Clutch from Stig P with one side leather, and one side suede. 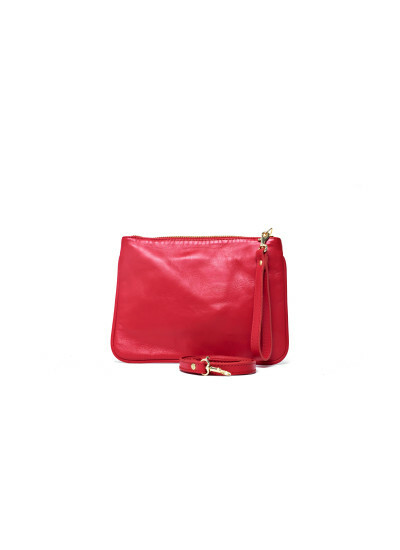 Removable strap. 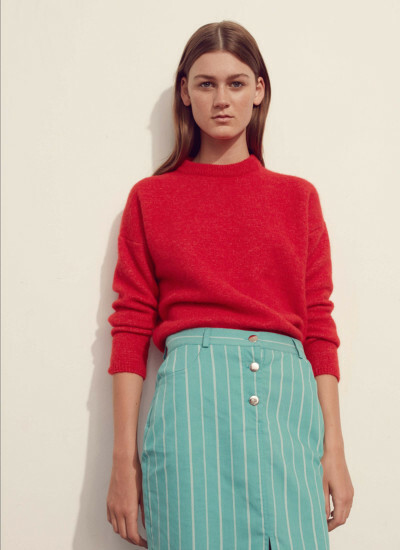 A bright mint colored knit from Stig P with contrast colors by cuffs and hem, in a relaxed but semi short fit. 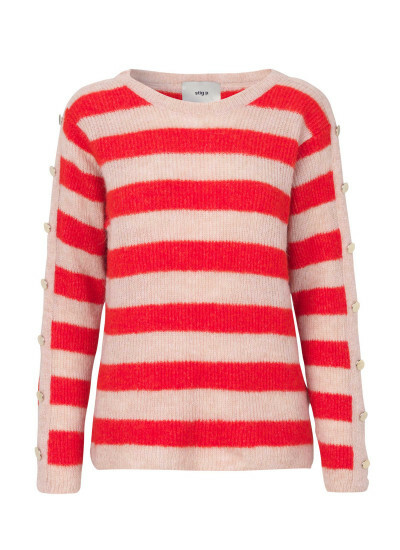 This knit features buttons on the shoulder. 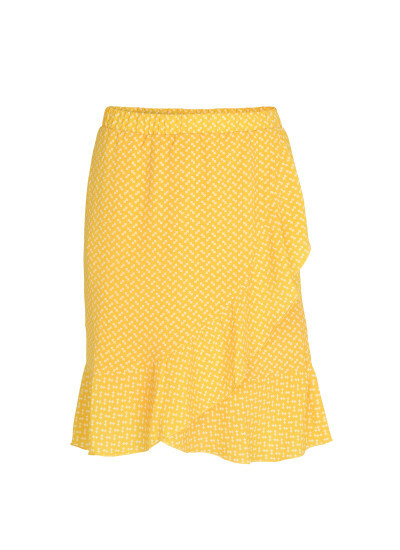 Wear it with your favorite jeans for a perfect everyday look. 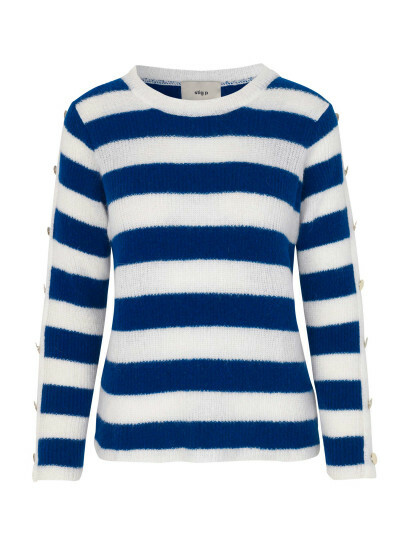 Knitwear from Stig P in blue and white stripes, with button details down the sleeves. 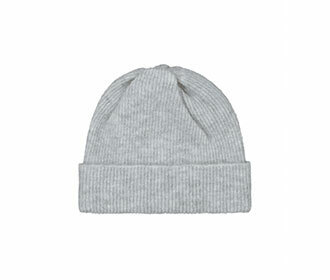 The knit has a round neck, and a normal fit. 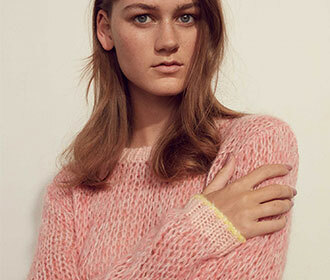 This knit is OEKO-TEX certified, which means it has been tested for harmful substances, for you and the environment. 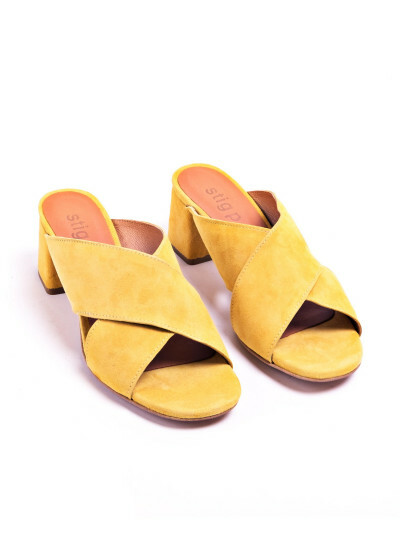 A cool '90's inspired strap top with an elastic upper piece, and casual lower piece for a feminine look. 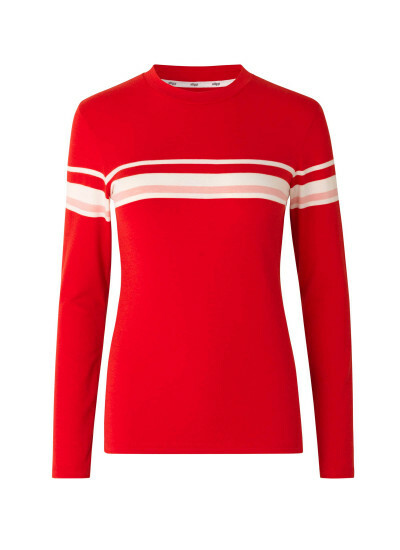 Wear this top with a high neck blouse for an everyday look, or just as it is for going out. 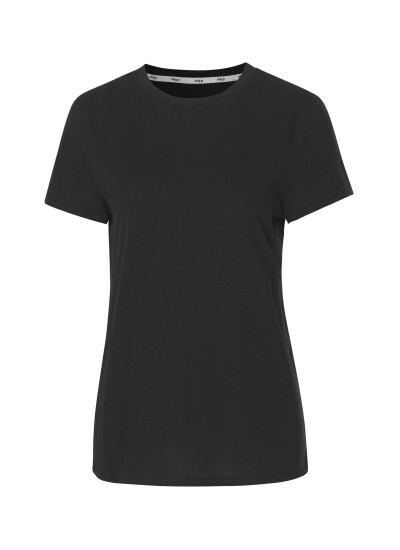 This top is black with black dot print. 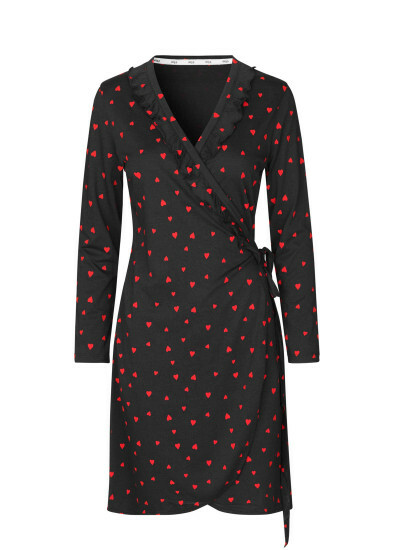 Black wrap dress with black dot print. 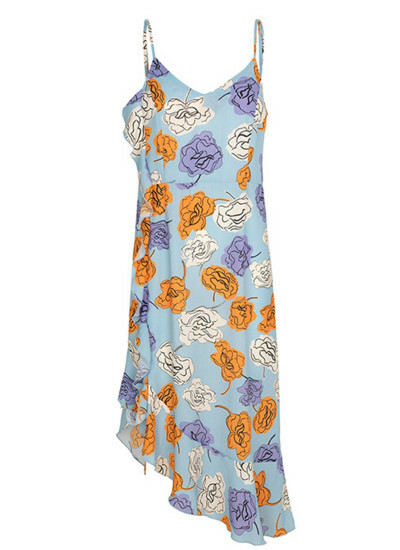 The dress has a v-neckline and hidden side pockets. 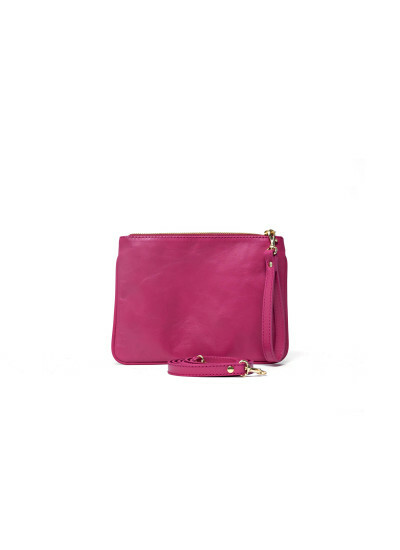 The cuffs features a button closure. 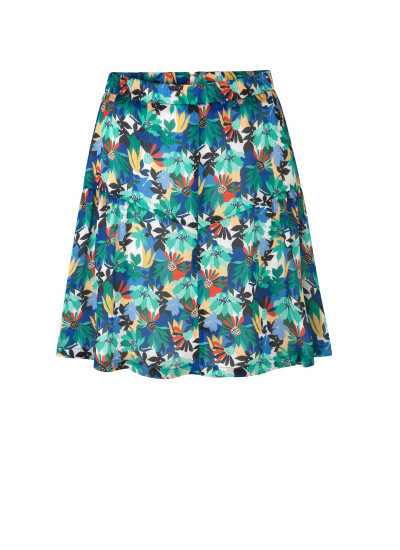 This dress fits true to size - in a casual feminine fit. 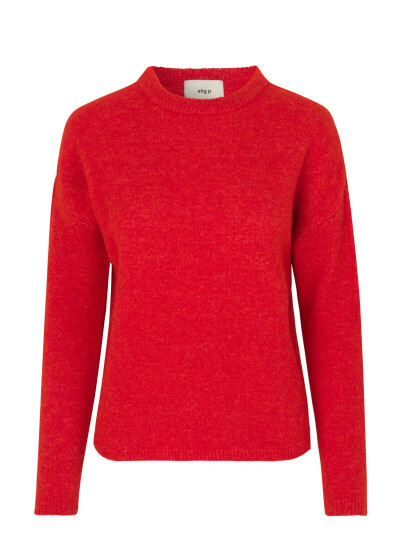 Casual knitwear from Stig P in a bright red color, with round neck in a semi boxy fit. 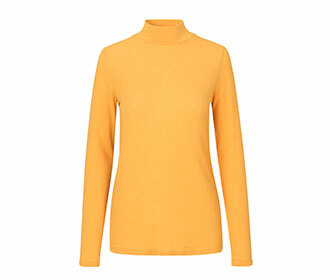 This knit is OEKO-TEX certified which means it has been tested for harmful substances. 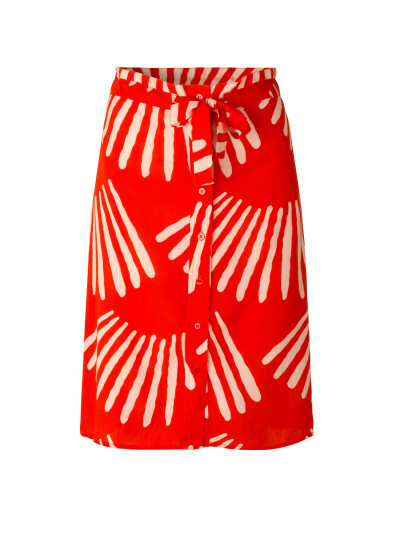 A dark navy wrap dress from Stig P with red heart print. 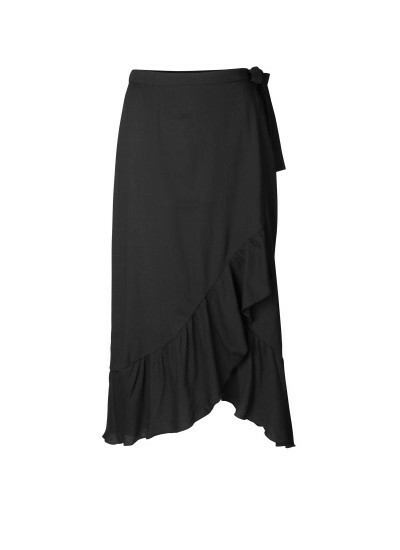 This dress is made in a soft jersey for a comfortable feel. 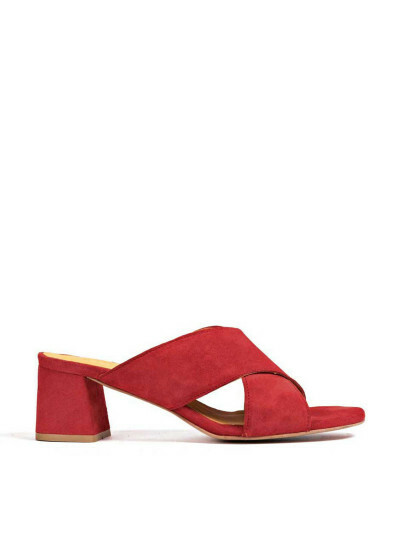 Available in more colors. 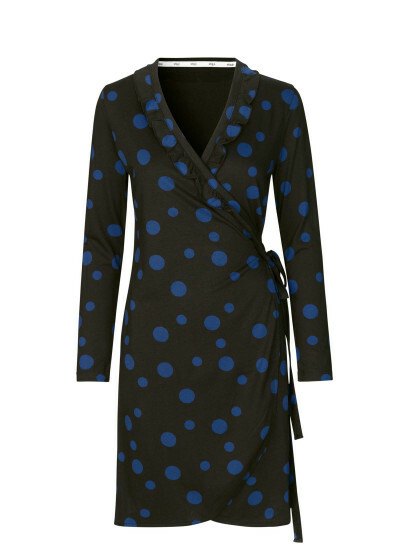 A black wrap dress from Stig P with blue dot print. 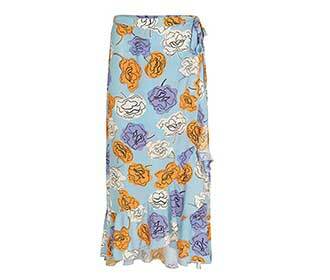 This dress is made in a soft jersey for a comfortable feel. Available in more colors.